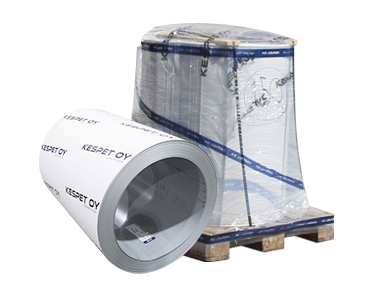 Kespet coils and sheets raw material’s comprehensive selection meets the requirements of EN and CE standards. Moldings for house building are in colour coated and galvanized steel. Moldings for industrial building are in galvanized, aluminium, stainless steel and colour coated steel. Kespet Oy offers versatile service for profile cladding needs of industrial properties process industry building. You can get ready-to-install profile claddings for roof and wall structures, which fill the requirements of standard SFS 3914 and the CE mark. Our strong production technic enables manufacturing of industrial profiles also from thicker sheet metal raw materials. KESPET 20 and 45 industrial profile range is the widest in Finland. We manufacture industrial profiles from 1000 and 1250 width sheet metal raw materials. Industrial profiles are available with productive foil, also for both sides. 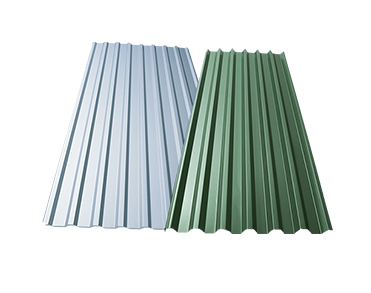 We also manufacture corrugated sheet metals from the customers own raw material. Molding standard length 2 m, up to 8 m based on order. Stainless steel and acid proof moldings based on order. 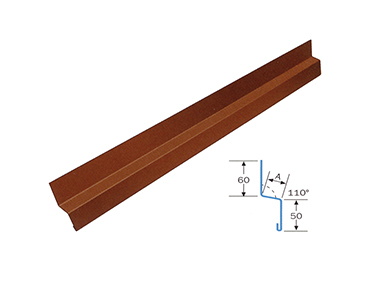 Molding standard length 2 m, up to 8 m based on order.